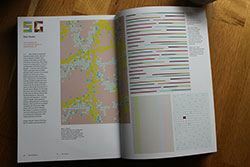 We are very happy to announce that Simi Gauba, Lead designer at Duni, has been published in the well renowned book Print & Pattern Geometric by Marie Perkins and Bowie Style. 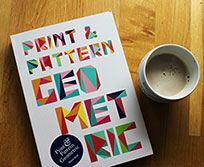 The book is based on the popular blog Print & Pattern and is the fourth title in its series, documenting the work of the best designers in the field. 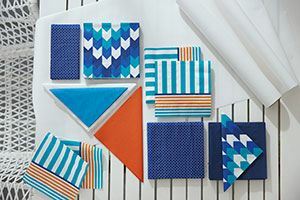 Print & Pattern: Geometric celebrates beautiful surface designs, patterns and motifs made from geometric shapes such as circles and triangles. 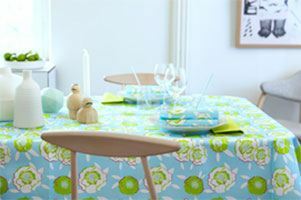 The patterns included reflect current trends for tribal, Aztec and Native American designs, along with Scandinavian influences and more mathematical and scientific looks. 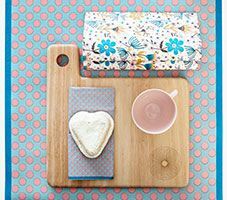 Product areas covered will include stationery, cards and giftwrap, fabrics, wallpaper, rugs, ceramics, homewares, gadget skins, and more. Simi Gauba has Post graduated in Design from the prestigious National Institute of Fashion technology in New Delhi, India. 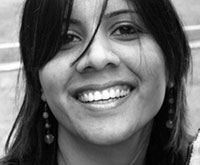 She has worked in the design and fashion industry in India and Paris for 8 years before moving to Sweden. In Malmö, she has worked as the senior designer and consultant for customers like Mömax KG (a part of XXXLutz group), Alice&Fay AB and since December 2013 she works as the Lead Designer for Duni in Business Area Consumer.